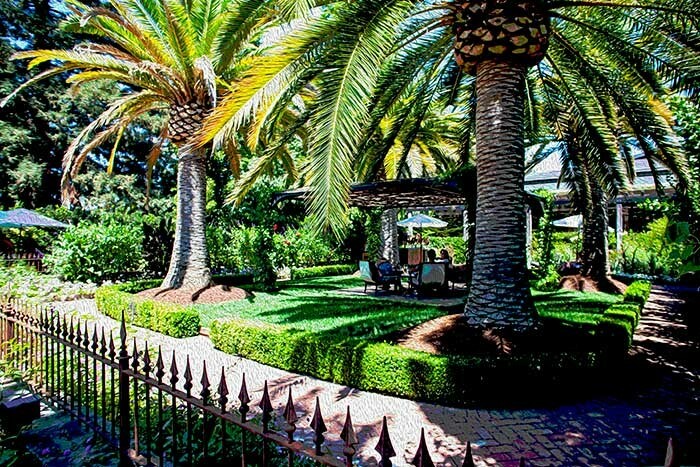 USA – Legendary Napa Valley winery Caymus Vineyards has a rich history in California, stretching back to the 1850s, when ancestors of the Wagner family came to Napa Valley by wagon train from Bible Grove, Missouri. Other family members followed, emigrating from the wine-growing regions of Alsace, France and Rheinpfalz. Today, fourth-generation winemaker Chuck Wagner and two of his children continue their family tradition of crafting outstanding wines and sharing them in a relaxed, welcoming and beautiful environment. This ethos is embodied in Caymus’ Rutherford, California, tasting room and outdoor seating area, which offer an intimate experience in an idyllic garden setting, with rich, immersive sound provided by Meyer Sound. Caymus is legendary for producing extraordinary Napa Valley Cabernet Sauvignon with a signature style: dark, lush, supple, and abundant in fine textural tannins. Its venerable Special Selection Cabernet is the only wine in the world to earn Wine Spectator’s coveted Wine of the Year award not once, but twice. Many factors contribute to the enjoyment of wine, so winemakers carefully curate everything from labels to landscaping to offer the ultimate tasting experience. 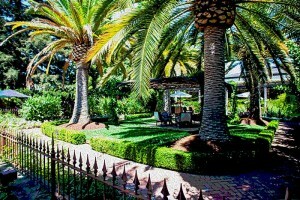 Yet surprisingly, wineries largely overlook the role of sound. Chuck Wagner, who co-founded Caymus with his parents in 1972 and still plays a hands-on role in leading the winery thinks differently. "Every detail matters," he says. “When you can relax in a beautiful environment, hear great music and enjoy delicious wine, that gives you a greater appreciation for life. And people never forget that experience." From the creation of their wine labels to their farming and winemaking techniques, Chuck and his family are eager to embrace new ideas. 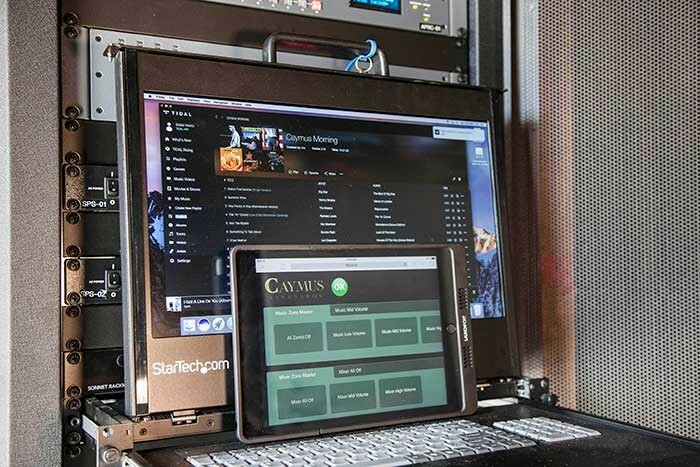 In 2016, Caymus was ready to upgrade its audio system to one that was higher-quality and more immersive. It found an ideal partner in Meyer Sound, which provides premium sound systems to leading concert halls, recording studios, theatres, and music tours around the globe. Meyer, like Caymus, is a family business with deep roots in Northern California, like-minded in its spirit of pushing against convention to continually hone its craft. This shared mindset and background made for a natural collaboration. Meyer Sound has a deep understanding of how great sound shapes an experience, and Caymus appreciates the immense care and effort that go into creating a world-class sound system. "I've been going to Caymus for years,” says Jerry Placken, Meyer Sound’s director of strategic relations. “So, when the discussion of a sound system came up, it was like, I don't want to talk business; this is my place to get away from business! But we worked it out." Meyer Sound approached system specification in the same way it strives to translate the creative vision of artists and directors, says Placken. "It's not simply saying, ‘okay, we need this many speakers,’ or, ‘it's going to cost this much'," he says. "It's: ‘what kind of experience are we trying to create here and how do we accomplish it?' "
Chuck had clear requirements for the sound experience: He wanted full-range sound with continuous coverage, indoors and out, with controllable sound zones. The system should offer both background music and live sound capabilities, and it should be easy to operate by staff. Most importantly, sound should suffuse the spaces but never be intrusive. 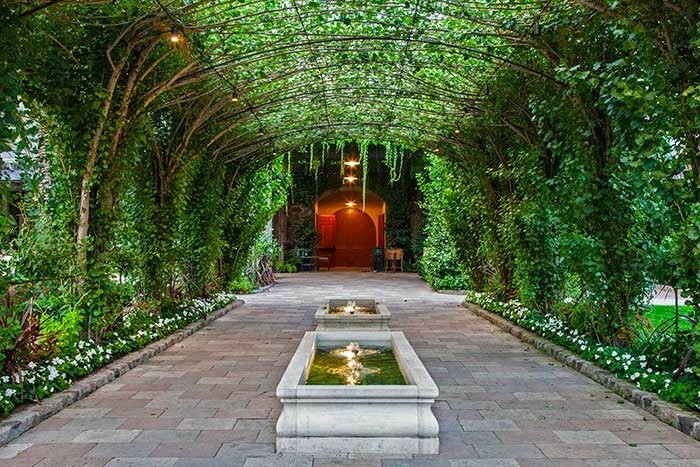 The Caymus experience starts with a stroll alongside a fountain beneath an ivy-covered trellis that leads to the main entrance. "Chuck wanted people to focus on the water feature when they come in," says Placken. "There are no speakers focused on this area. Once you get past the end of that trellis, then the sound opens up." Forty-seven outdoor speakers and 12 indoor speakers provide seamless coverage across ten discrete zones, including an expansive lawn and garden with private alcoves, and two indoor tasting rooms. The outdoor system comprises 11 ultra-compact UP-4XP speakers and three MM-10XP miniature subwoofers on the central trellis, with 33 MM-4XP loudspeakers spaced evenly in shrubbery along the lawn perimeter, all time-aligned with digital delays to provide a seamless sound experience across the grounds. Inside, two tasting rooms feature the first installation of Meyer Sound’s new Ashby-8C ceiling speakers, supplemented with MM-10XP subwoofers. System integration was handled by San Francisco AV integrator BugID, which specialises in creating systems that are highly technical yet easy to operate. The Meyer Sound loudspeakers are self-powered; unlike traditional daisy-chained A/V systems, each speaker at Caymus is discrete, allowing the ultimate in programming and control. As a result, 20,000 feet of cable was installed in a complex underground trenching system. 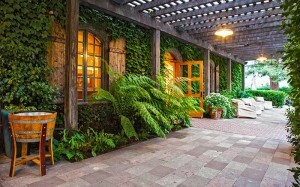 Everywhere, speakers disappear into their surroundings: Outdoor speakers were painstakingly colour-matched to blend with landscaping features: indoors, speakers blend into the ceiling with subwoofers disguised by air conditioning vents. The nerve centre of the system are the two Meyer Sound Galaxy 816 network based digital processors. Multiple MPS-488HP Intelligent DC power supplies distribute audio signal and DC power to the loudspeakers. A rackmount digital mixer ties to microphones that can be assigned to any zone to accommodate presenters in any space. Playlists stream from a high-resolution service, and it’s all controlled via Meyer’s custom iPad interface, which makes it simple for any staff member to manage the music volume in any zone. "I have my own buttons on here,” says Heintz, "I said, ‘can I just get a Skosh button? '” "That’s 2dB," Placken replied, laughing. The system was completed in October 2017. Caymus is thrilled to offer a memorable tasting experience worthy of its wines. "The sound is more full, more robust," says Eddie Heintz, the winery’s director of hospitality. "When Chuck describes his wines, especially Caymus Special Selection, he talks about a weightiness, a texture, a velvety warmth of soft tannins. For me, aurally, that’s what this sound system has done. It gives a complexity and depth to the experience."